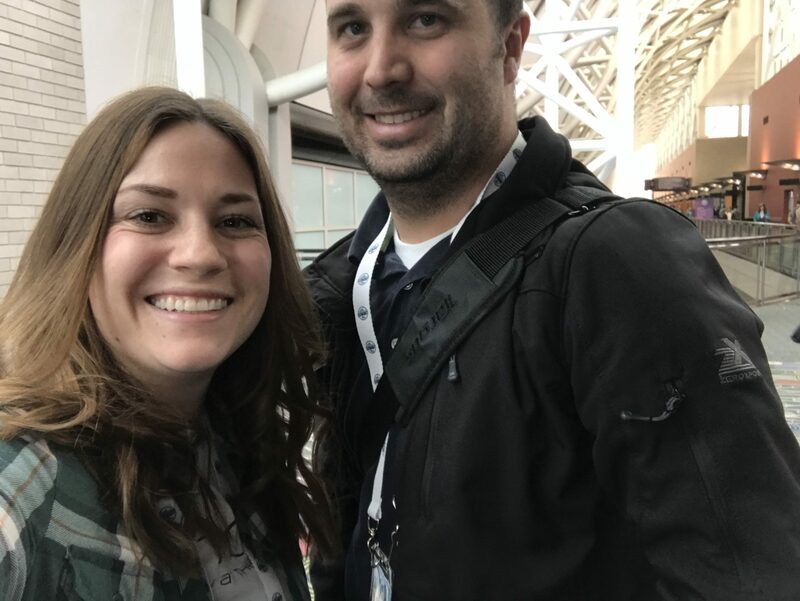 A business friend offered us some tickets to the Silicon Slopes Summit just last week. We have been really busy and have wanted to last year but decided we should take him up on the offer. We could only make it for part of Thursday but it was a great time. After we both decided we need to take our team next year because they had some awesome stuff! First off it is set up as a typical tech expo where you can go meet with people and companies and network which is kind of fun. Then they have a bunch of different classes, which we were excited about. They have them on management/leadership, product development, advertising/marketing, and lots of other fun topics. We decided to hit up a marketing class and a leadership class. Our first class was by Caryn Marooney who is the VP of Global Communications at Facebook. She went over the topic of RIBS or making your business Relevant, Inevitable, Believable, and Simple. Some things that we really liked were the fact that she said we all deserve to be winners. There is definitely competition but we need to be aware of our own selves or companies and not “driving looking in your rearview mirror.” We also loved how she brought it back to being simple and just keep working hard and progressing. That is where true success comes in. The other class we took was from Martin Eriksson who has written a book on product leadership. He started off by saying how much the top S&P 500 list for 2018 is Apple, Alphabet, Microsoft, Facebook, and Amazon. Our world is being taken over by technology and software. This is where we feel a huge impact at XenoPro with creating great software that helps in this amazing growth. What an amazing time we live in where we have so much at our fingertips. The other things that he talked about were with leading in our groups or companies and creating autonomy and accountability. Getting all of their insight leads to the process and the culture becoming the product not just one mans ideas. This is much bigger than just a few small people making it big. Such great ideas! They have a full recap at Silicon Slopes. Who is joining us next time?